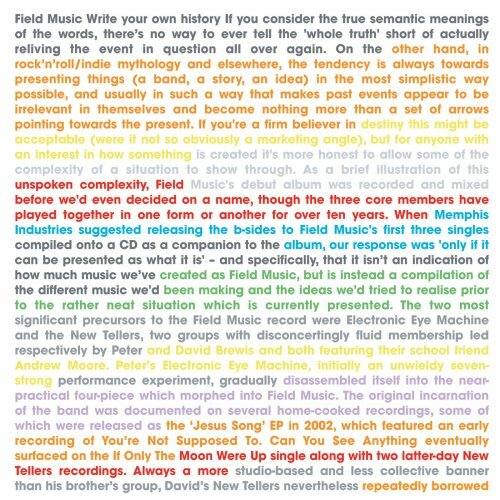 Song of the day: Electronic Eye Machine – "Alternating Current"
Today’s post is a lazy one, because all I’ve done is pick a couple of tracks by my favorite active band, Field Music. So I’ll get around to posting those when I can. In the meantime, here are a couple of Field Music tracks. I chose this particular track because I’m fascinated by it. It’s an oddity in the Field Music oeuvre because it sounds (to me anyway) a little like country-and-western. It’s the only song they ever did that could be called anything remotely like a country song. You are currently browsing the archives for the Electronic Eye Machine category.